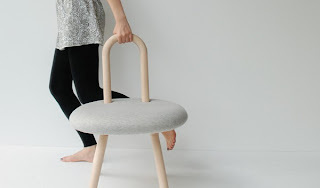 Modern chair comfortable stylish and very functional. design chair modern and simpel called Bambi Chair, Bambi chair has a welcoming handle, the texture of the wood and its construction, creating a continuity of the handle to its legs. 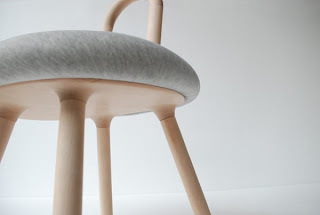 The soft upholstered seat compliments the handmade warmth of the beech wood“. 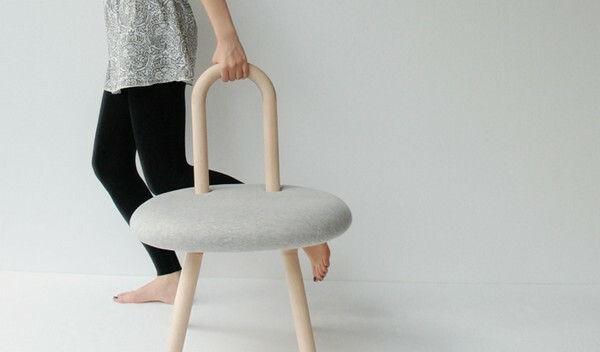 Easy to move from one place to another, the chair is a very flexible seating unit, perfect for when you are confronted with an invasion of guests all of a sudden. 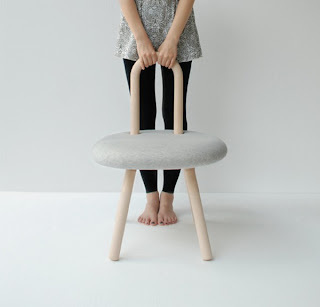 Its simple and delightful appearance make it easy to integrate in a variety of interiors. 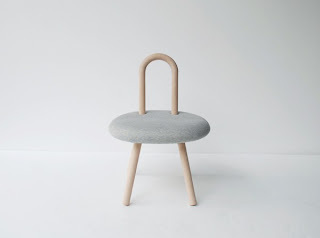 Bambi Chair was designed by Timo Wong and Priscilla Lu form Studio Juju, a studio in Singapore. 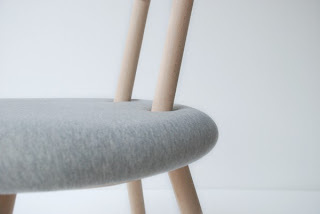 The chair has a an appealing design, featuring a handmade upholstered cushion that inspires comfort and mildness.